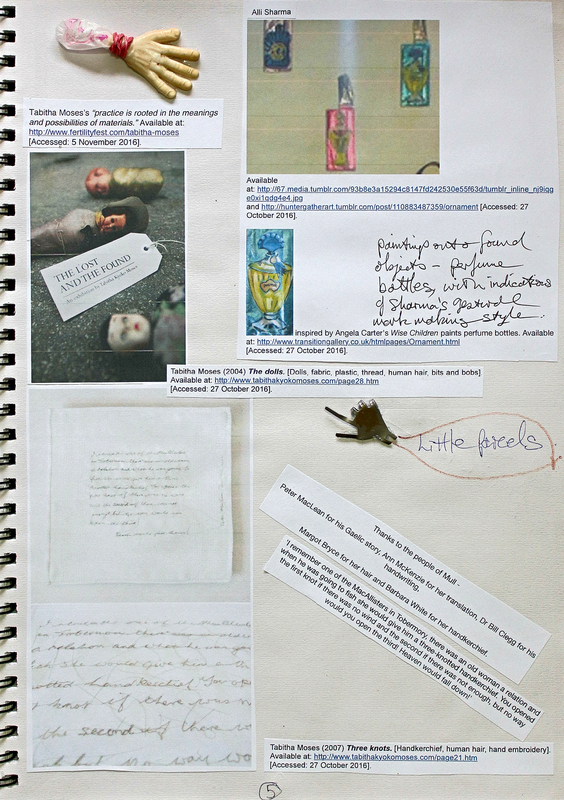 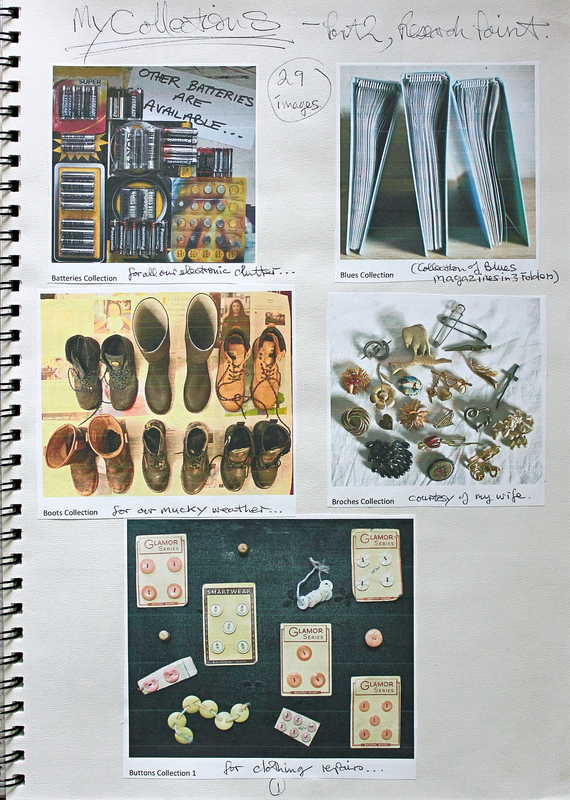 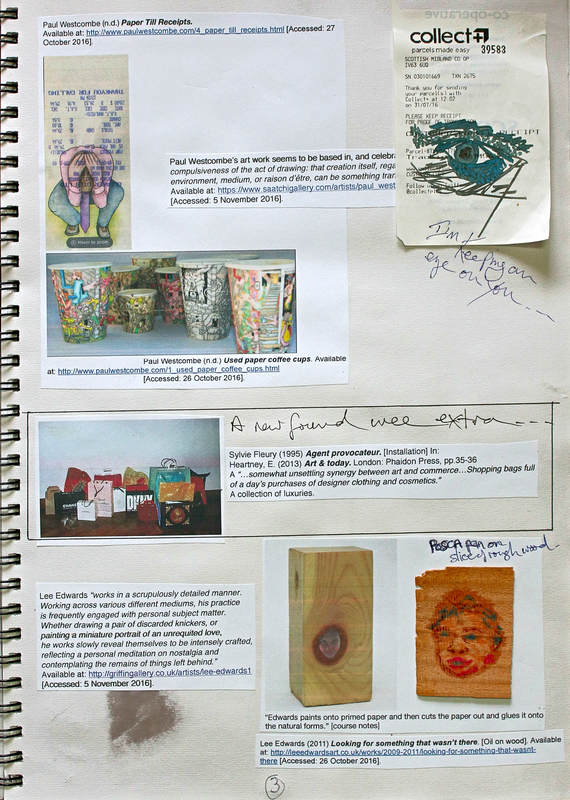 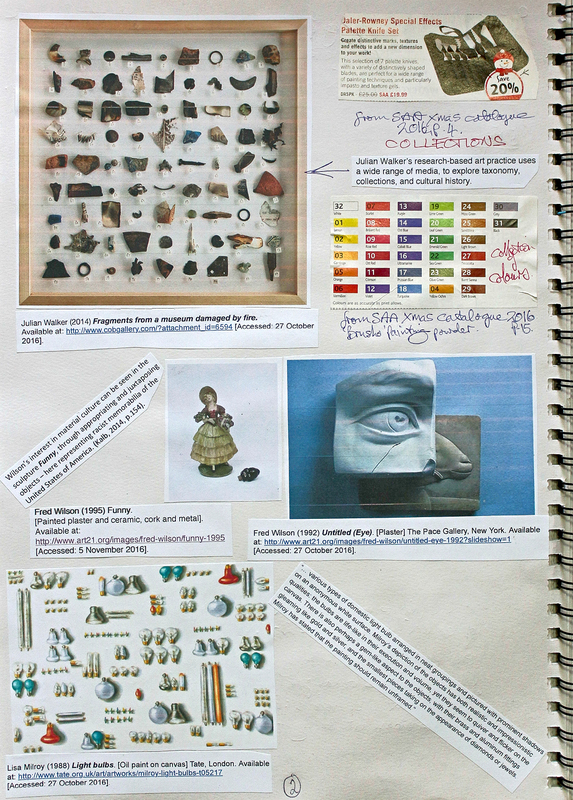 Exploring artists mentioned in the brief for this research point I have included 14 images of examples of collections on pages 2 to 5 below. 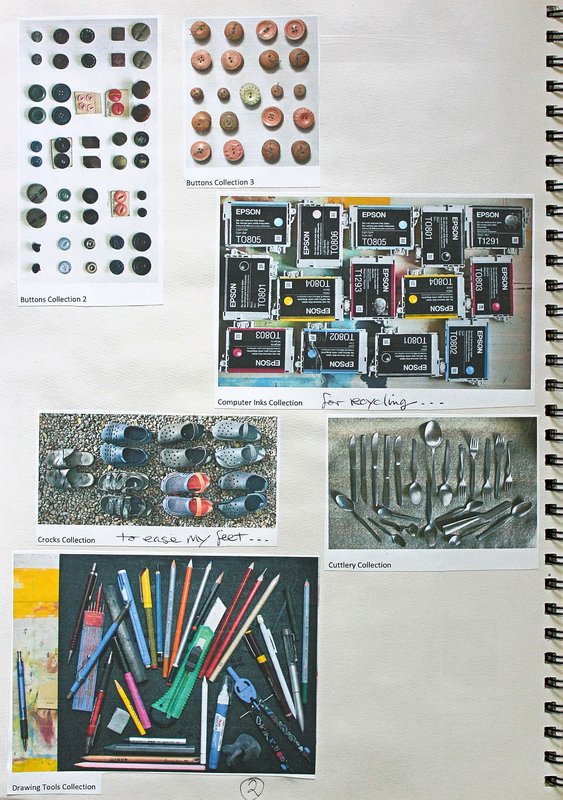 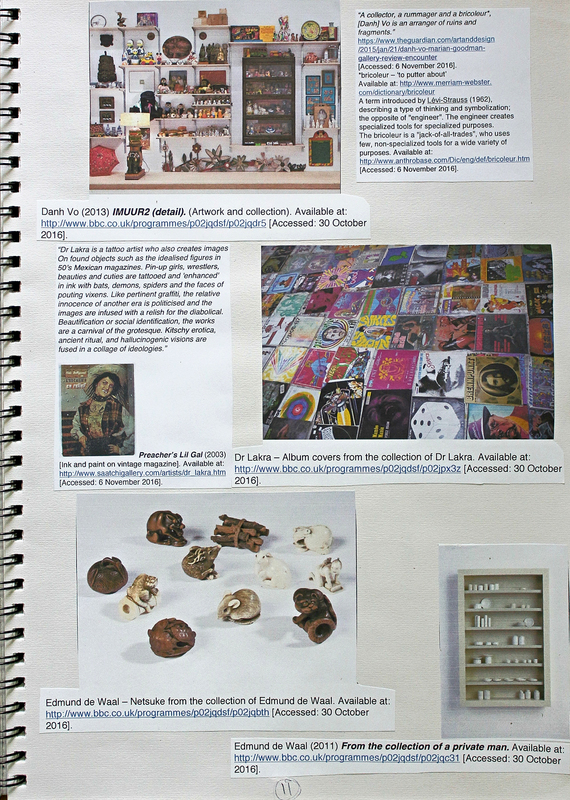 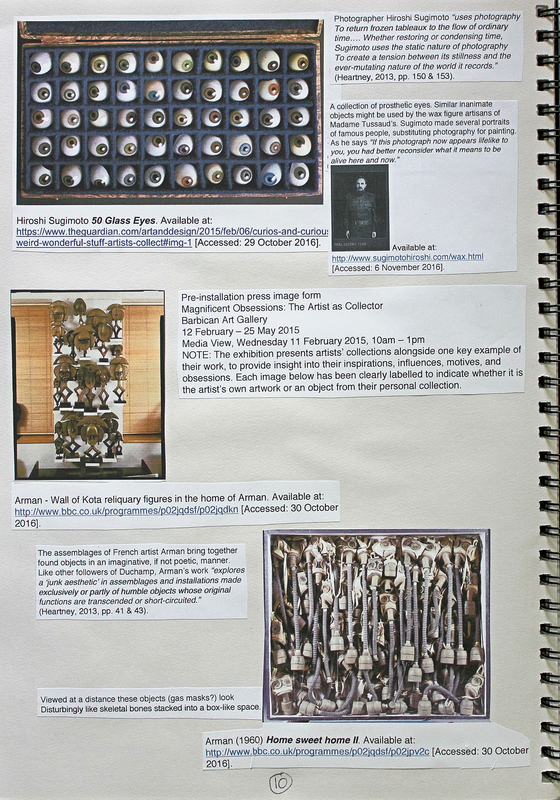 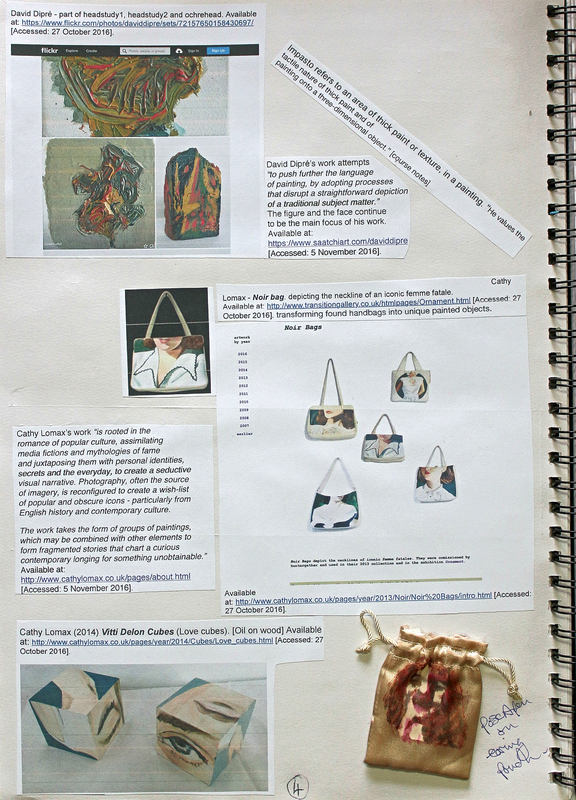 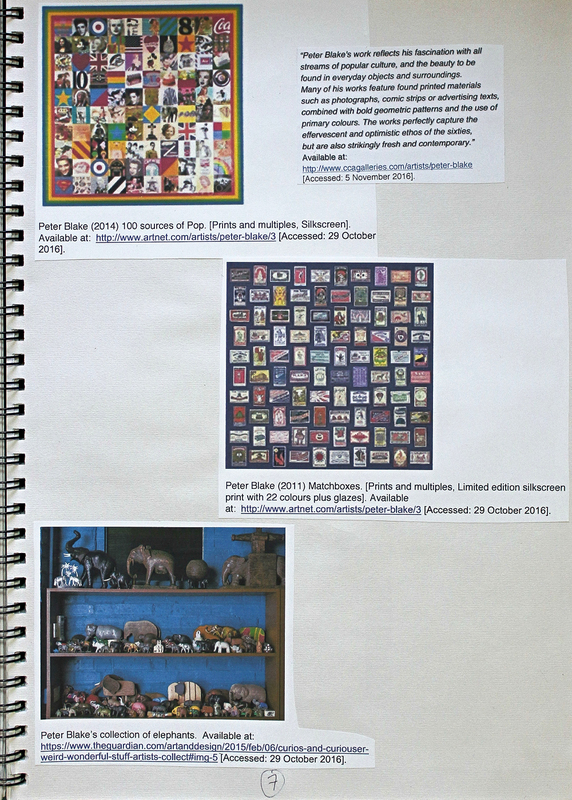 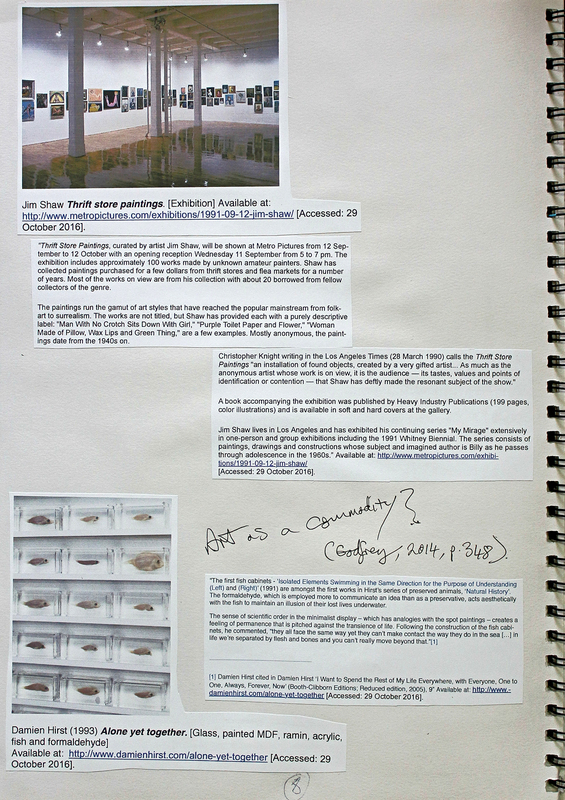 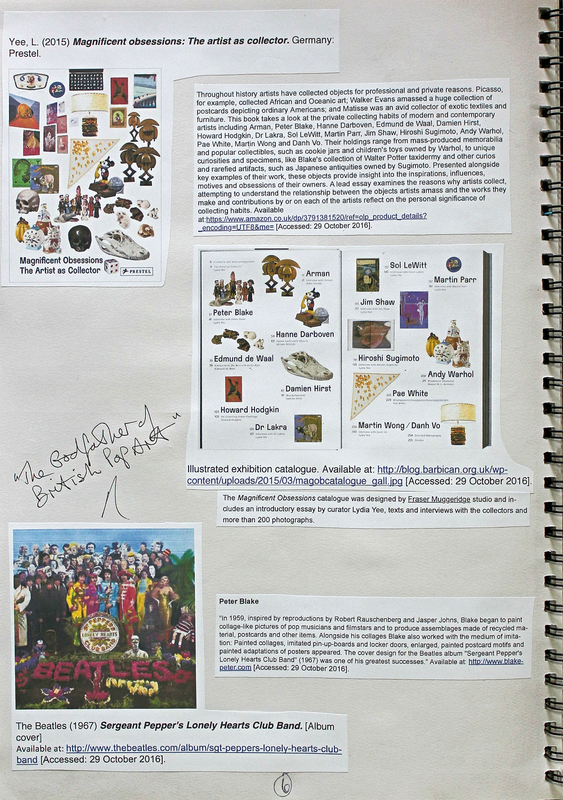 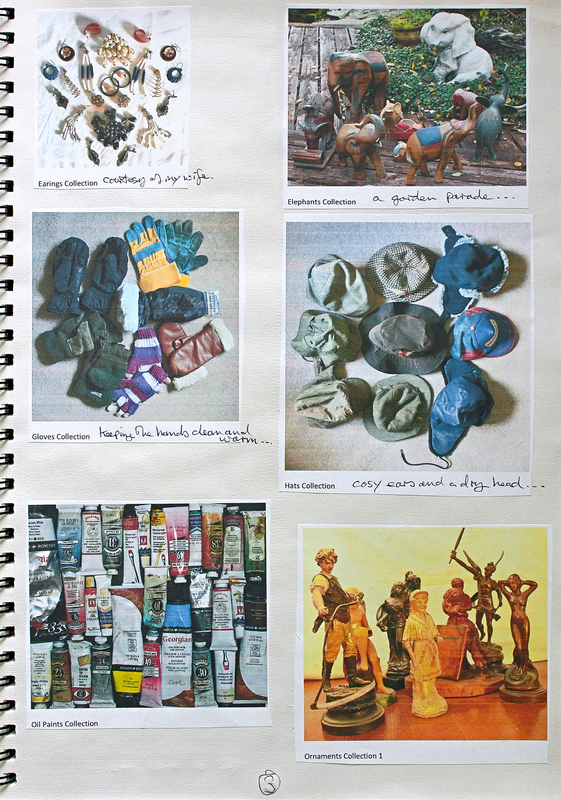 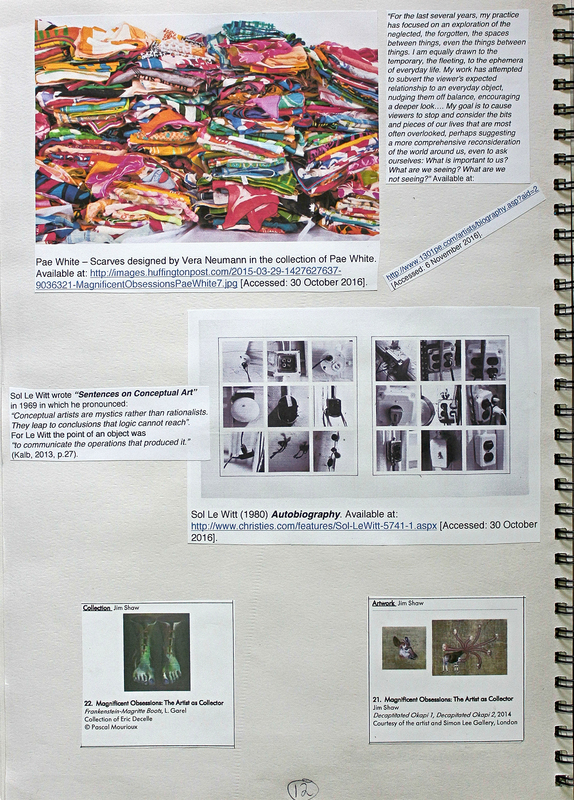 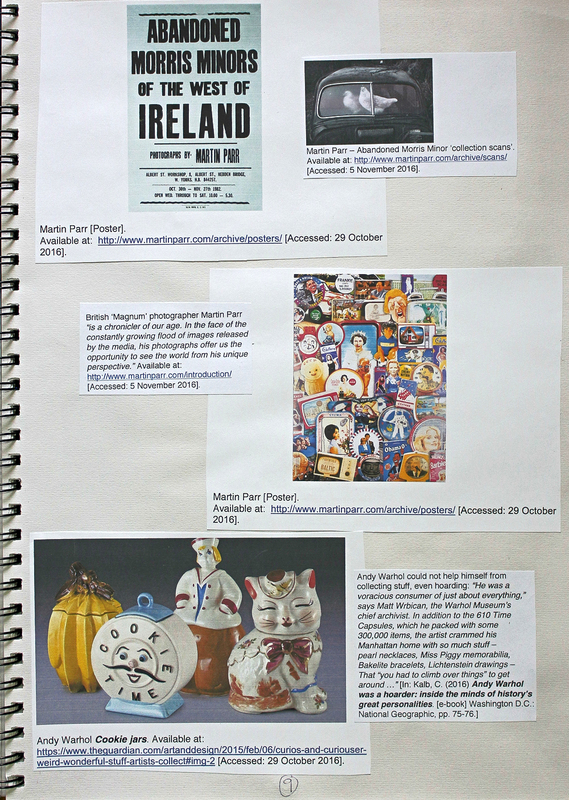 On pages 6 to 12 following are examples of collections from the exhibition catalogue by Lydia Yee for “Magnificent Obsessions: the artist as collector” held at the Barbican Art Gallery, February to May 2015. 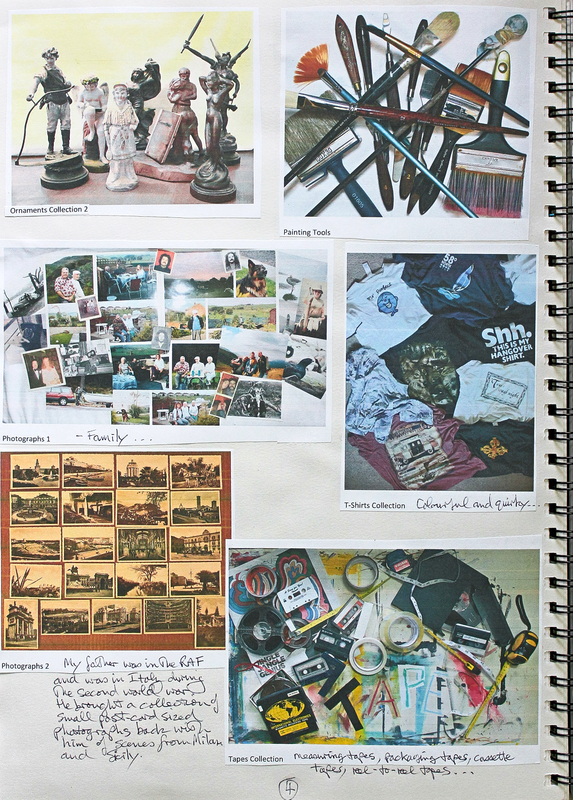 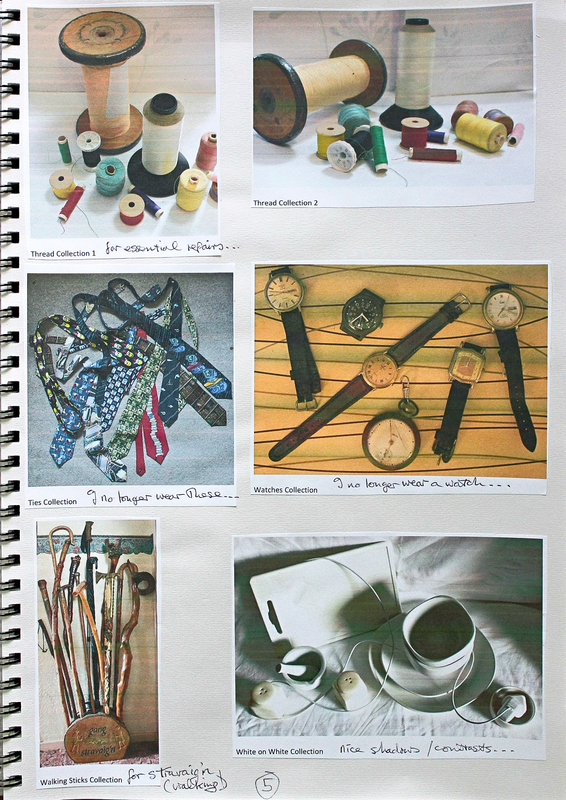 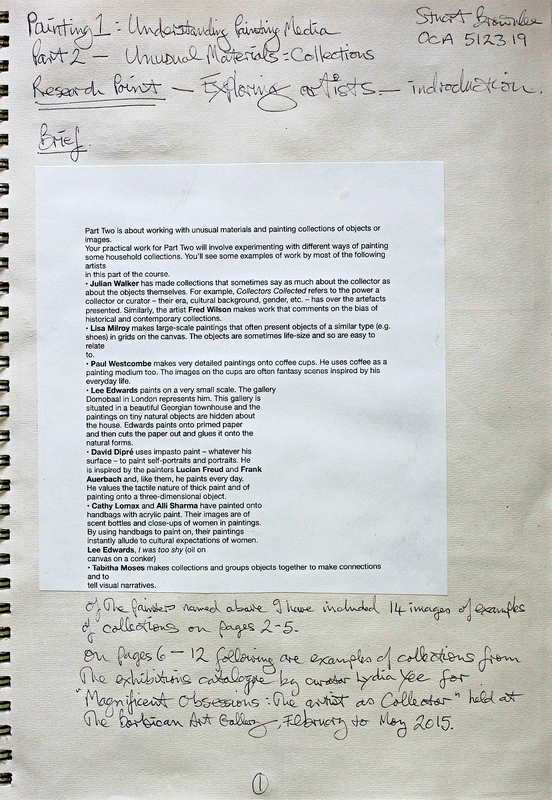 On the next 5 pages you will find photographs of 29 collections that I have put together as inspiration for this part of the course.